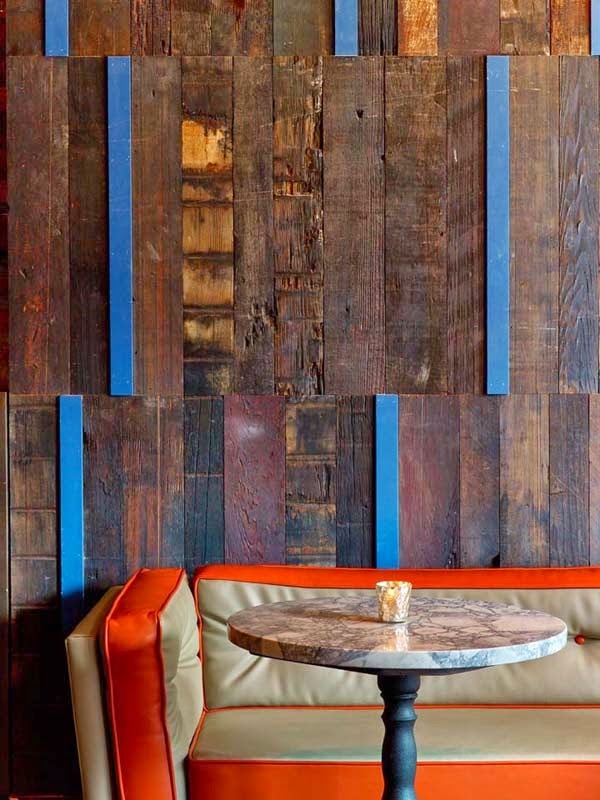 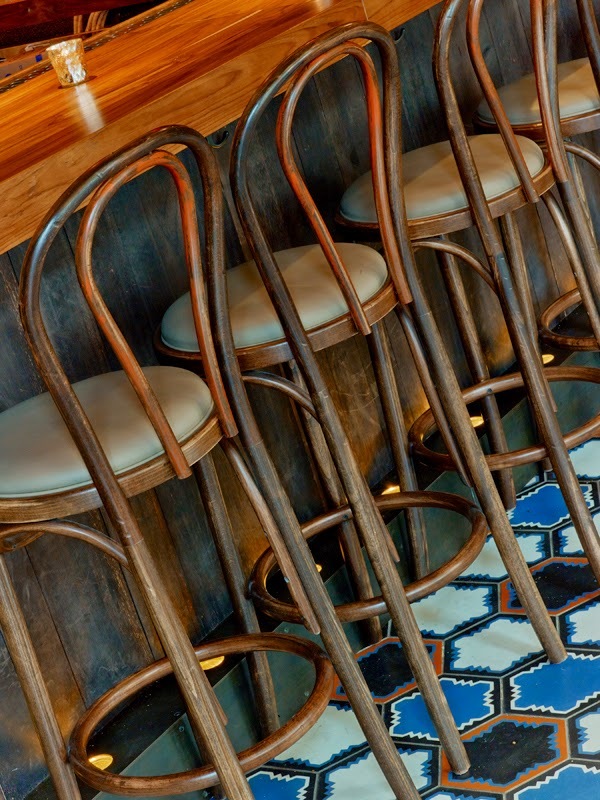 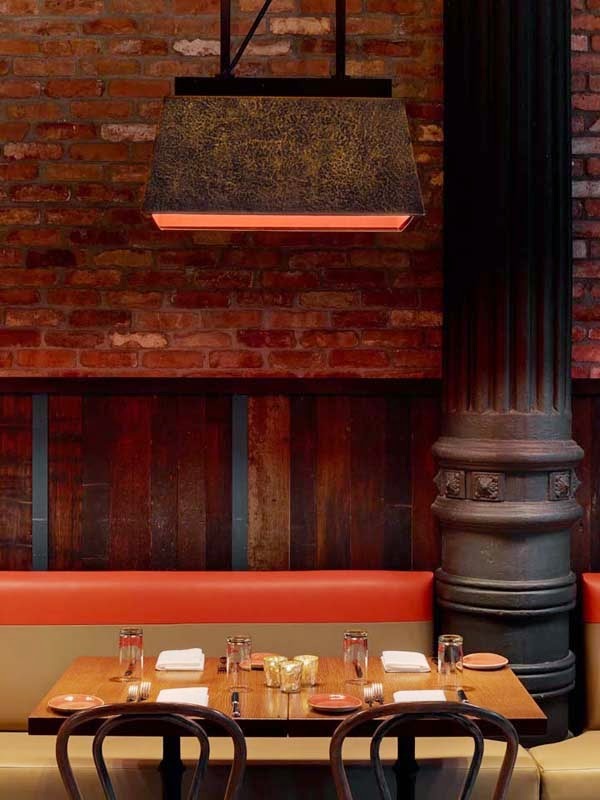 Inspired by Flay's Mediterranean-influenced menu and the original architectural details of the Renaissance Revival building, Rockwood has used reclaimed materials and a bold colour palette of mid-tone blues, warm browns and burnt orange throughout the space. 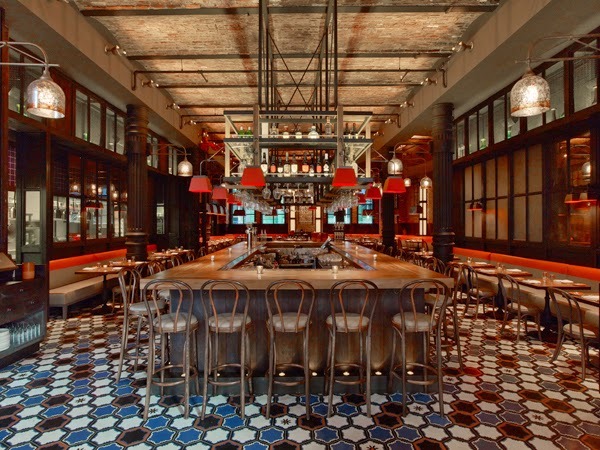 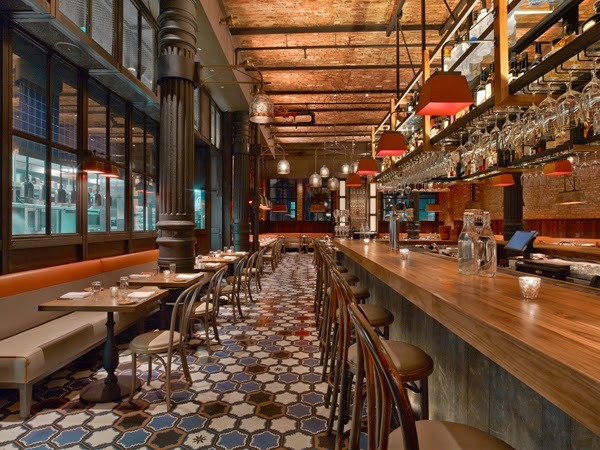 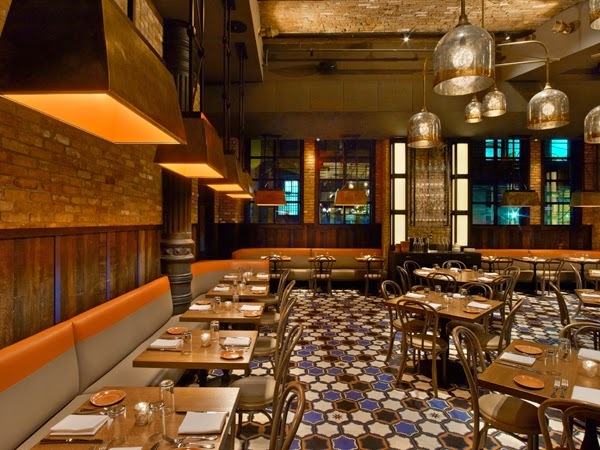 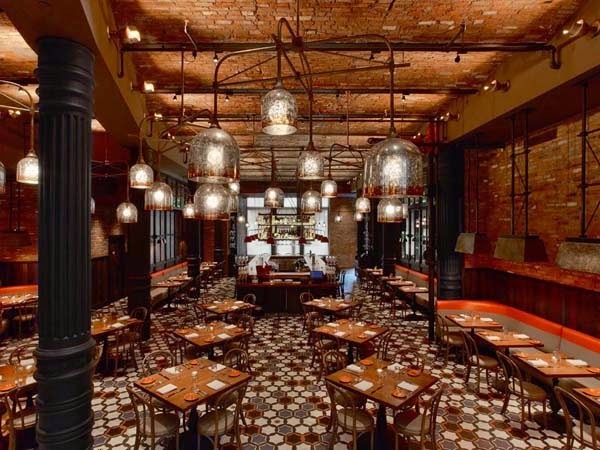 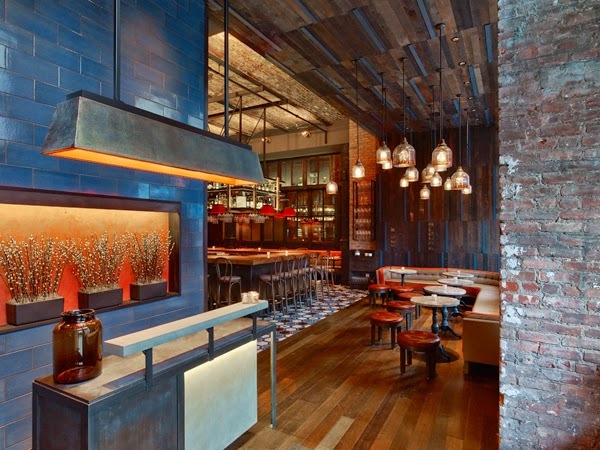 Key features include the original cast iron columns, exposed brickwork, custom-designed ceramic tiled floors, walnut dining tables and bentwood bistro seating. 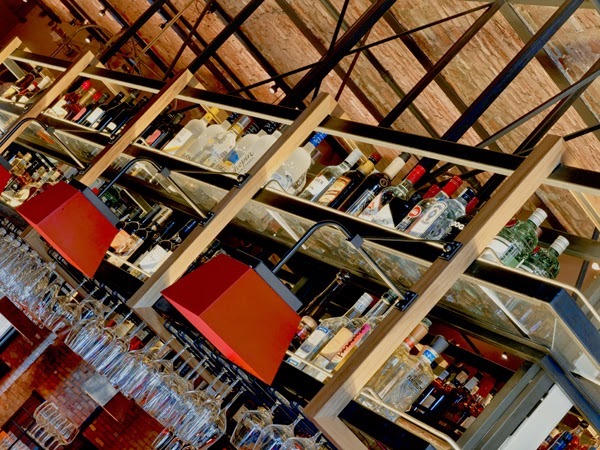 Made of solid teak and dark textured wood with a glass and wood shelving system suspended above it, the island bar in the middle of the restaurant creates a focal point for the interior. 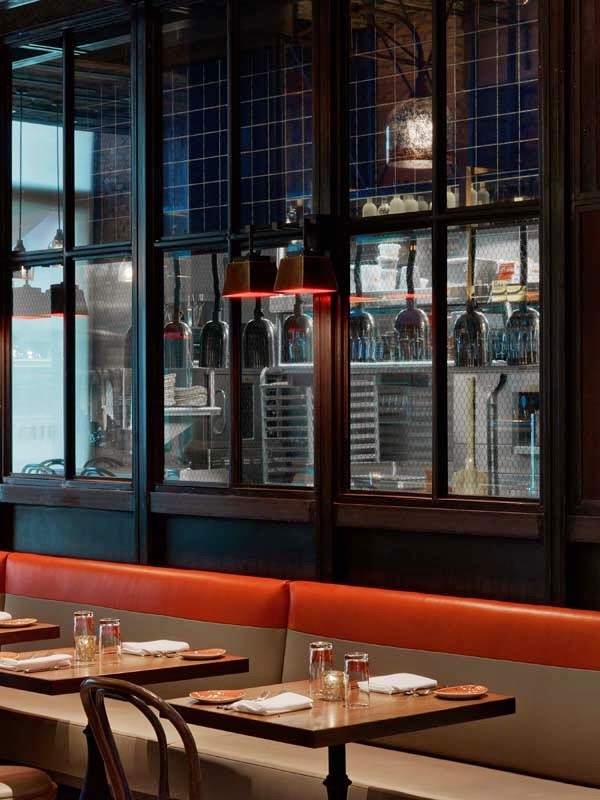 A 12-seat lounge, banquettes and informal bar seating complement the 117-seat main dining room, providing a mixture of ambiences for guests. 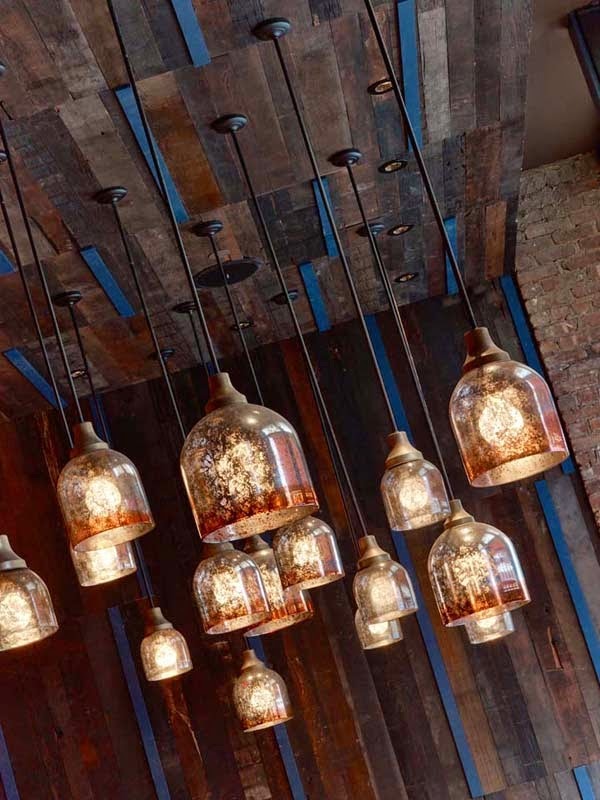 For more insight on updating the industrial look for a contemporary audience, Homebuildlife subscribers can see our style report Refined Industrial.